Happy Monday! Coming in with the most votes for Best Dressed Fashionista of the Week, is Beyonce in Ralph & Russo Fall 2018 Couture. 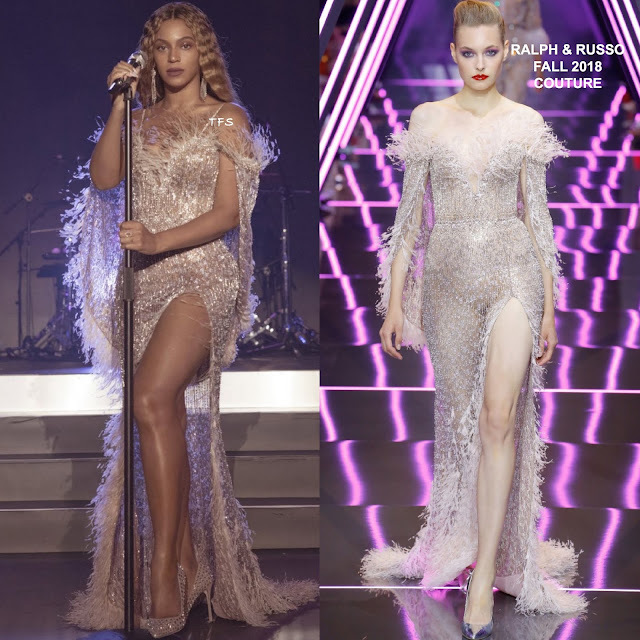 In second, Keira Knightley in Chanel Fall 2018 Couture and in third, Amber Heard in Ralph & Russo Fall 2018 Couture.